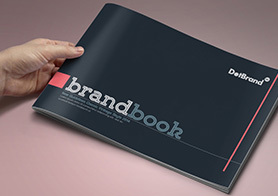 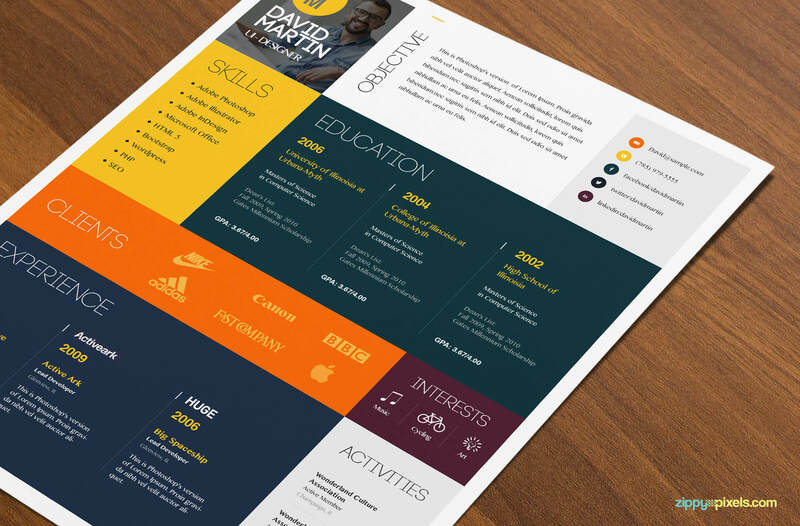 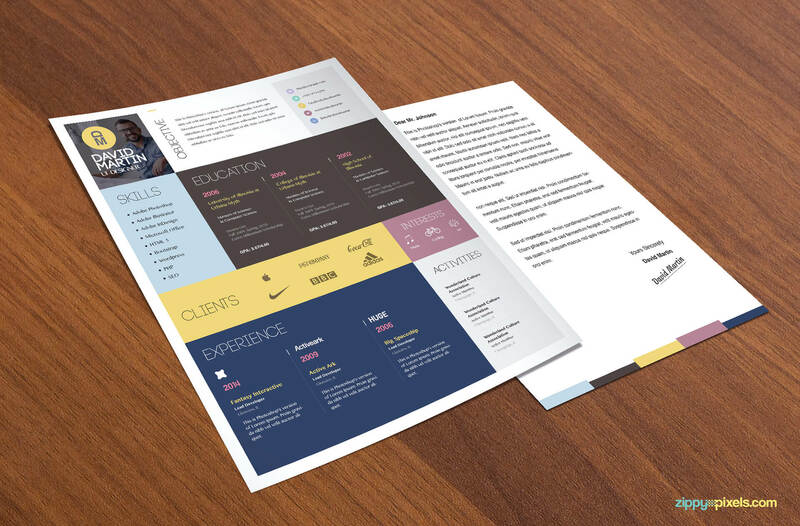 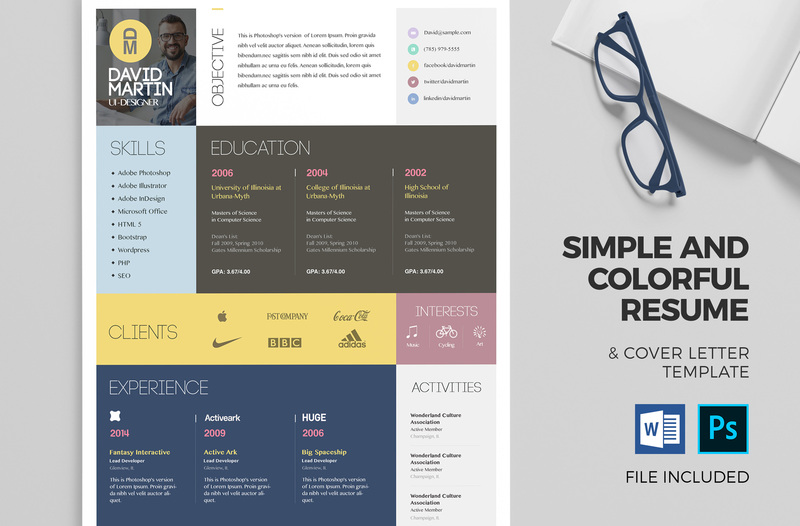 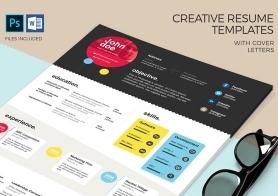 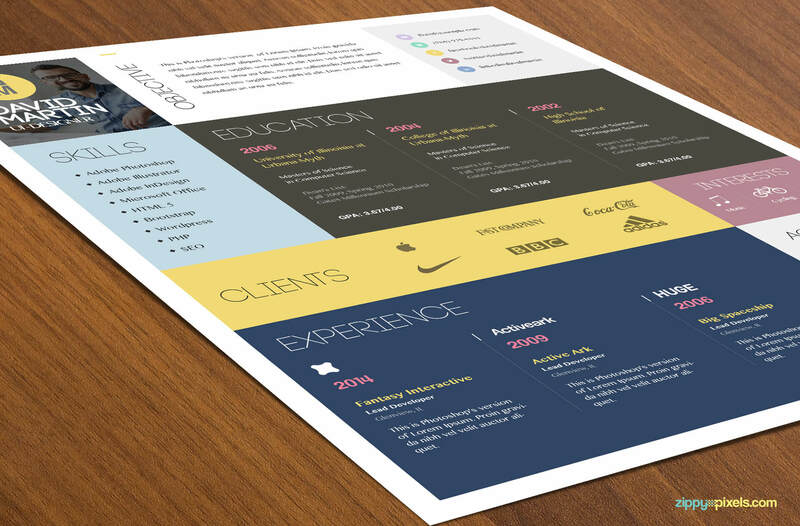 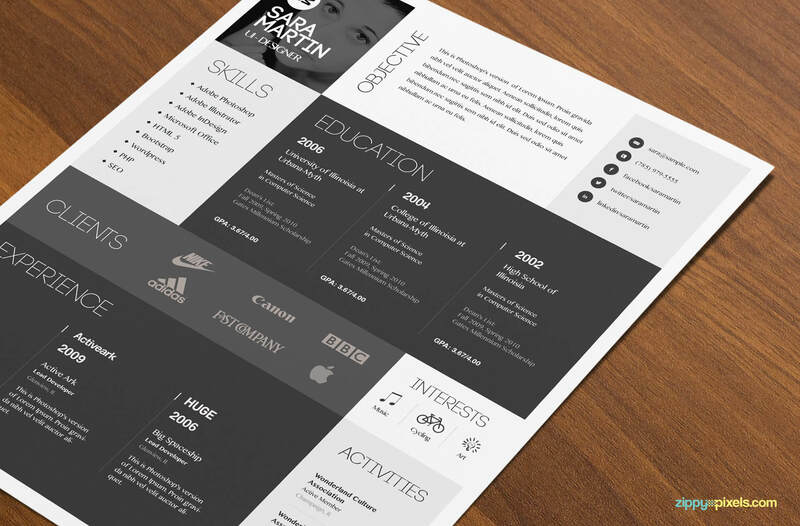 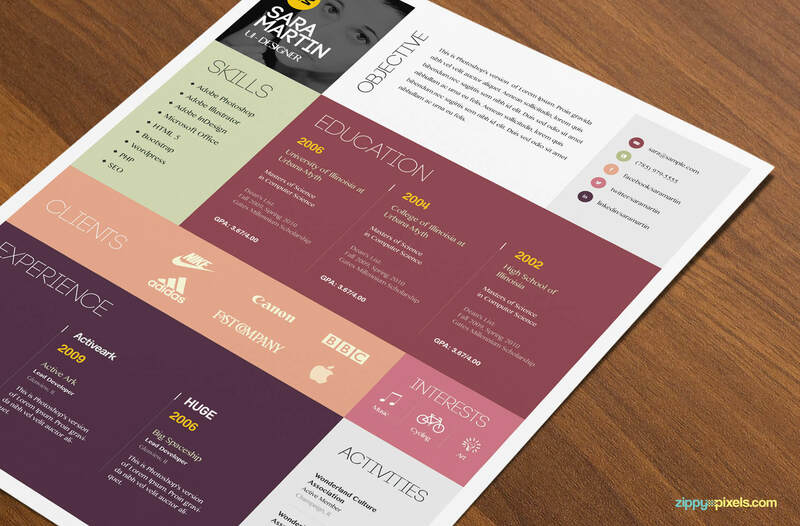 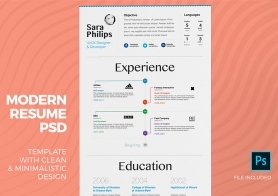 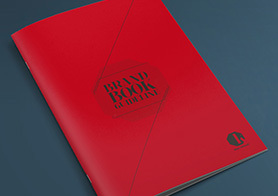 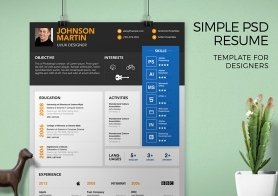 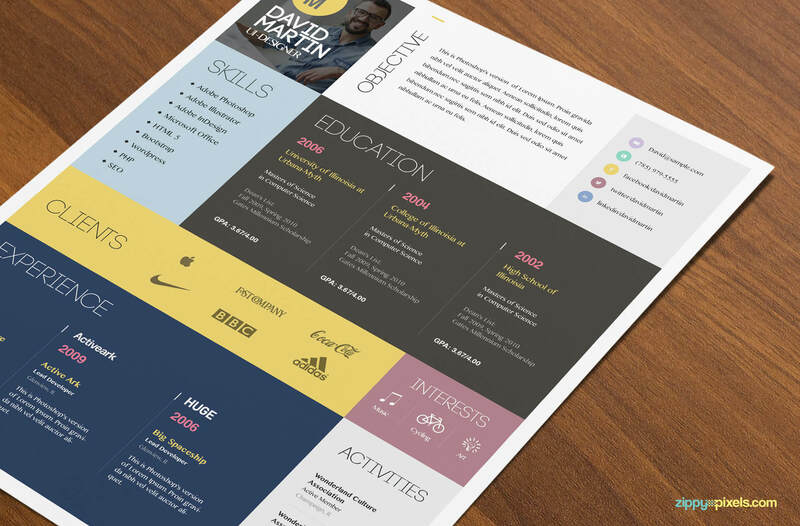 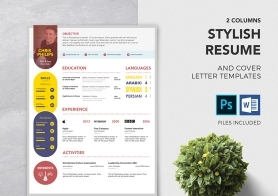 An elegant, clean and colorful resume design with a creative touch. 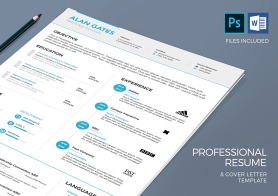 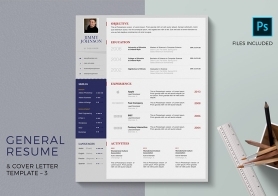 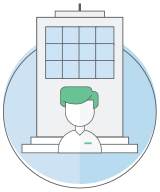 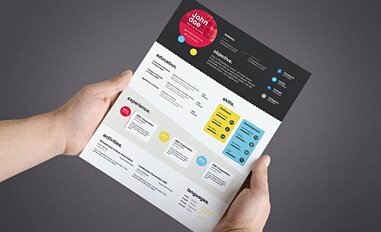 This resume template which can intrigue your employers to read the actual details. 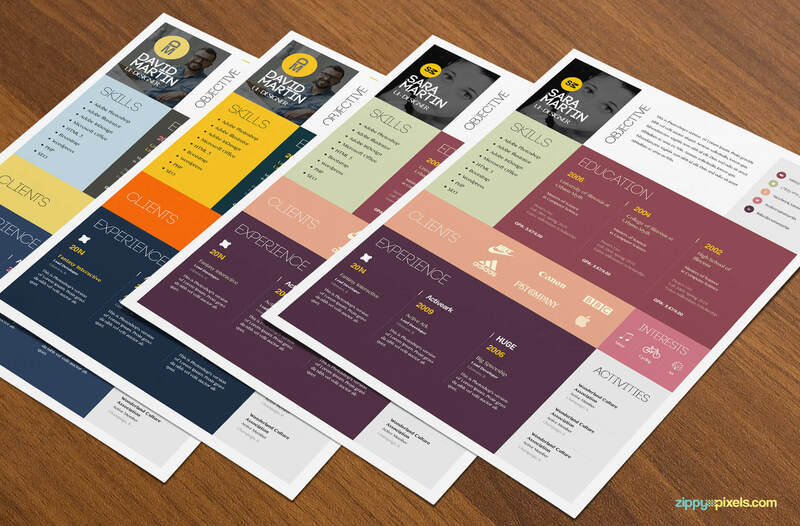 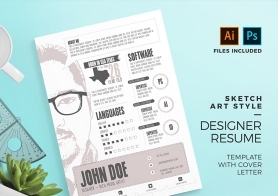 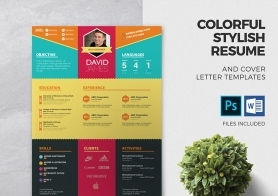 Both cover Letter & resume comes in 4 color sets and 2 different formats (DOCX & PSD).